Elizabethan Medicine - tobacco, arsenic, lily root and dried toad. Elizabethan Medicine was extremely basic in an era when terrible illnesses such as the Bubonic Plague (Black Death ) were killing nearly one third of the population. The above picture is of an Elizabethan Physician. Just the sight of an Elizabethan Physician in his strange clothing, especially the weird mask, was enough to frighten anyone to death. But the Physicians clothes probably saved his life and prevented him contracting the illnesses and diseases of his patients such as the plague and typhoid. The underlying cause of many of the Elizabethan illnesses was the lack of sanitation, especially in large towns or cities such as London. There were open sewers in the streets which were also filled with garbage. This was occasionally removed and waste was dumped into the nearest river such as the Thames. Diseases were easily spread in this unsanitary environment where fleas, lice and rats all flourished. There was no running water, this was obtained from water pumps ( a main cause of the spread of typhoid ). Medicine was basic, Physicians had no idea what caused the terrible illnesses and diseases. The beliefs about the causes of illnesses were based on the ancient teachings of Aristotle and Hippocrates. The Physicians paid attention to a patients bodily fluids, called Humours, which explains the reason why patients where subjected to 'bleeding'. Other beliefs of the Elizabethan Physicians centred around Astrology. The Elizabethan medical profession had no idea what caused the plague - the best they could offer was to bled the patient or administer a concoction of herbs. The Bubonic Plague was spread by the bacillus yersinia pestis (this is where the word pestilence is derived) carried by fleas and transmitted normally by rodents. Back to the clothes of our Elizabethan Physician in the above picture. Take a close look at what he is wearing. All of his body is completely covered from head to foot, even his face by the ghastly mask. Stout boots and gloves covered his hands and feet. Elizabethan Physicians wore long dark robes with pointed hoods, leather gloves, boots, and the most bizarre masks featuring long beaks which were filled with begamot oil. Amulets of dried blood and ground-up toads were worn at the waists of the Elizabethan Physicians. It was their custom to douse themselves with vinegar and chew angelica before approaching a victim. Although this might sound pointless today, these precautions would have protected the Elizabethan Physician. The bizarre and gruesome Physician masks would have acted as protection against contracting the disease through breathing the same air as the victim. Neither rats nor fleas could easily penetrate these defences. Elizabethan Medicine was administered by different people. Your doctor depended on your class and whether you had money to pay the fee. Elizabethan illnesses were similar to the illnesses of the Modern age - but before causes had been identified and cures identified. In addition to this there were outbreaks of terrible diseases such as the Bubonic Plague and Typhoid. Broken bones, wounds, abscesses and fractures were treated in unsanitary environments making the condition even worse. The only cure for toothache was having the tooth pulled - without anaesthetics. Amputations were performed by surgeons - the stump was cauterised with pitch. Poor living conditions and poor diet led to many illnesses suffered by both the wealthy and the poor. Anaemia was common as was rheumatism, arthritis, tuberculosis and dysentery ( known as the flux ). Child bearing and possible childbed fever was dangerous - many Elizabethan woman made arrangement for the care of their children in case they themselves died during childbirth. The white make-up applied by the Upper Class women was lead based and therefore poisonous - Elizabethan women who applied this make-up were often ill and if it was used in sufficient quantities it would result in death. The Upper classes also suffered from gout. Influenza was common, referred to as the 'sweating sickness'. Sexually Transmitted diseases, such as Syphilis, were also prevalent. 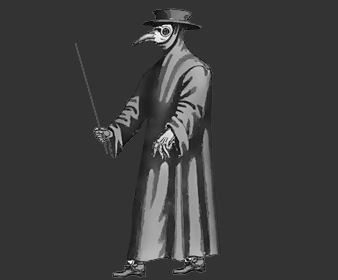 Bubonic Plague was treated by lancing the buboes and applying a warm poultice of butter, onion and garlic. Various other remedies were tried including tobacco, arsenic, lily root and dried toad. Head Pains were treated with sweet-smelling herbs such as rose, lavender, sage, and bay. Lung problems given the medical treatment of liquorice and comfrey. Vinegar was widely used as a cleansing agent as it was believed that it would kill disease. Some interesting facts and information about Elizabethan Life and Elizabethan Medicine and Illnesses. 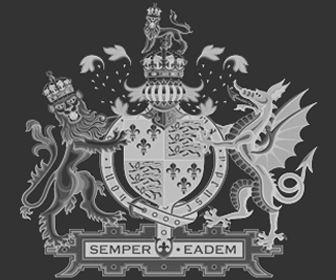 Details, facts and information about other aspects of Elizabethan Life can be accessed via the Elizabethan Era Sitemap.